Mentholatum Warehouse SALE 2017 Happening Soon With Discount Up To 70% OFF With Price RM5 Onwards! 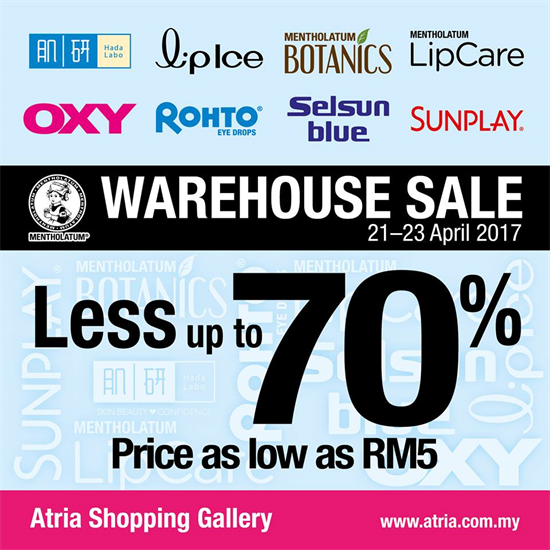 Participating Brands: Hada Labo, Liplce, Mentholatum Botanics, Mentholatum Lipcare, Oxy, Rohto, Selsun Blue And Sunplay. Venue: LGF Center Court Atria Shopping Mall, Petaling Jaya.